Always taking the opportunity to innovate and challenge the status quo, rag & bone’s latest activation solidifies their position as an industry innovator and as multi-faceted brand that's moored by authenticity and quality. It’s been two years since the brand has decided to break away from the conventional catwalk show to debut their collections. Previous collections have been presented via self-portraits, choreographed narratives, but…. for their fall 2019, rag & bone previewed how we might experience fashion in a nearby future, as we exponentially embrace artificial intelligence in the creative fields. To bring their vision to life, rag & bone worked with Aaron Duffy, Creative Lead and Founder of SpecialGuest, to ideate and develop the project, providing their hand-picked guests with the unique opportunity to collaborate and connect. 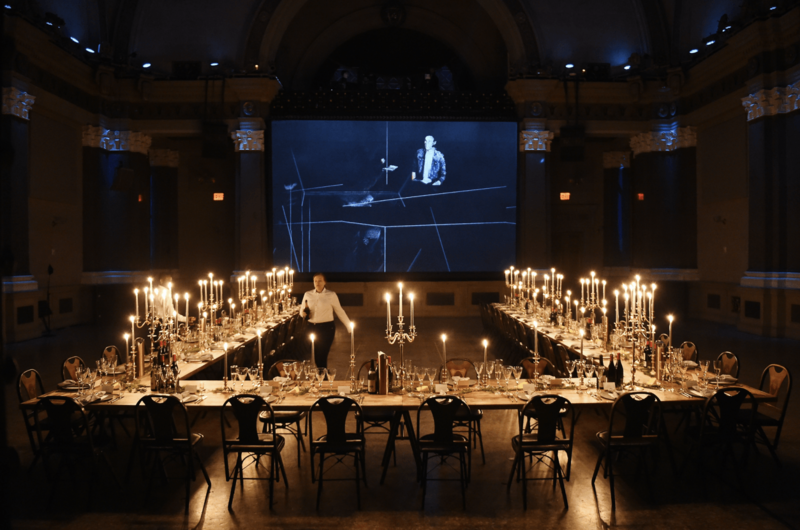 The collection was celebrated on February 8 in NYC, through a multi-sensory experience and dinner: ‘A Last Supper’. ‘A Last Supper’, the video of the brand’s dinner blends our human experience of a dinner party with an AI system’s computerized vision. This was created using a depth camera capturing point cloud data (volumetric capture) from all the dinner guests, which were then tagged and sequenced to generatively create a unique piece of content, representing how the AI sees the world. In real time, this content was incorporated into live futuristic video-scapes created by audio-visual composer Tarik Barri, and features ‘Pyramid’ by Thom Yorke.